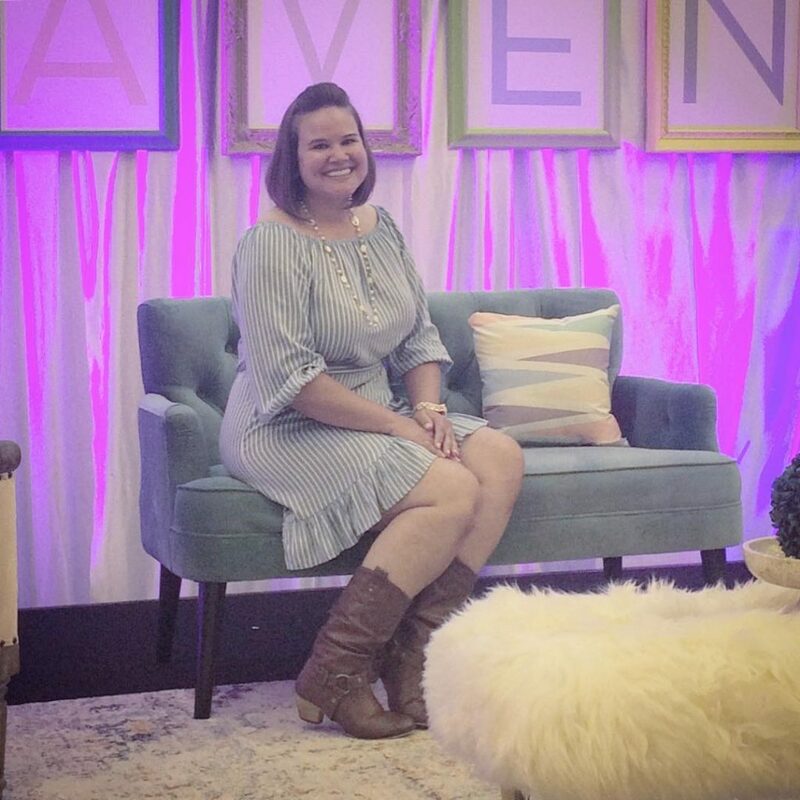 As most of you are probably aware, I attended the 2018 Haven Conference down in Charleston, South Carolina this past weekend. If this is totally new to you, you can read about my post I wrote as I was getting ready for it here. On Sunday, I landed in Philly around 9 AM and all of a sudden, I looked up and it’s Thursday afternoon! I hit the ground running once I got home and I haven’t had much time to gather my thoughts together about the event. Now that I have some larger chunks of time to do computer work, I thought I’d write down a few insights that have been rolling around in my head for the past 4 days. I think that Haven is an experience that will stay with me for a loooooong time coming, so these insights will most likely come in drips and drabs as time goes by. I have concrete, task-related takeaways from the conference and more touchy-feeley takeaways too. I’ll start with the latter because my concrete action steps are currently in the works. 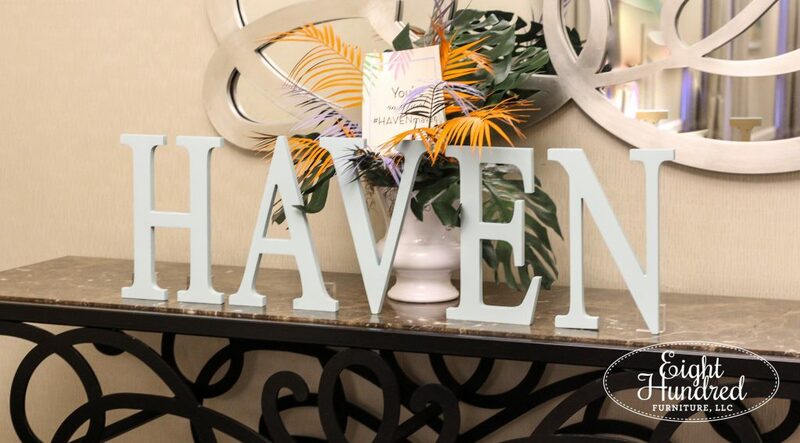 One of the most biggest apprehensions I was battling was the thought that I didn’t belong at Haven. There were all of these “big name” bloggers there and my following wasn’t that big (1,200 on Facebook and 2,000+ on Instagram). Like, would I really get that much out of it or would I totally feel overwhelmed? And who else was going? I didn’t know a soul that was attending, so would I make friends with people who were “on my level”? The opposite is also true. 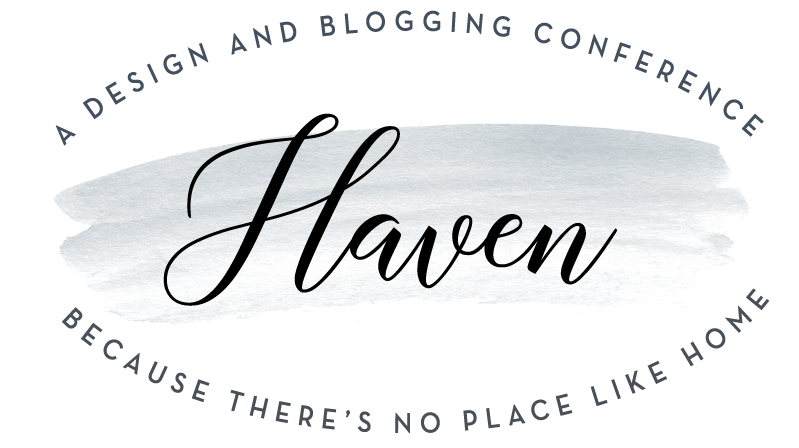 You belong at Haven even if you don’t have a blog yet. I can’t tell you how many people I met that didn’t even have a website! 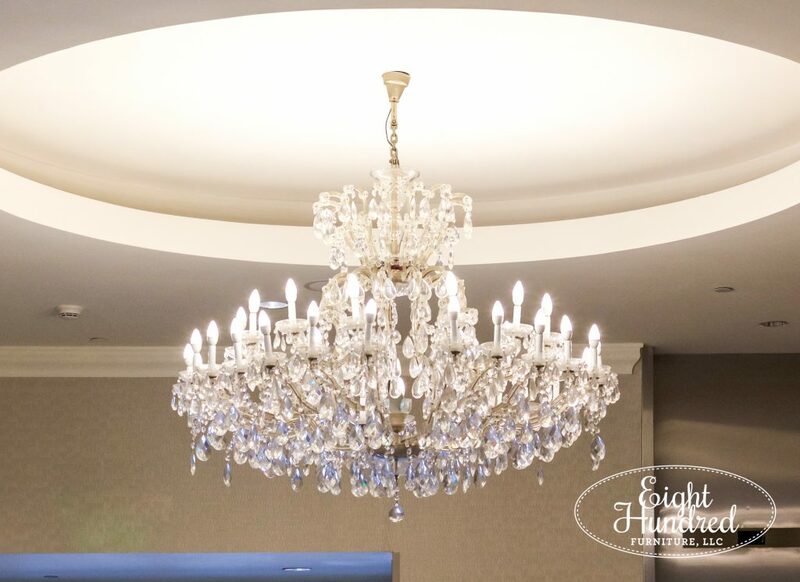 There were plenty of relevant sessions for beginners including how to take gorgeous interior photos, how to style photos, the power of Instastories and going live on Facebook. Those are all essential skills to have if you’re going to venture out into the blog world. 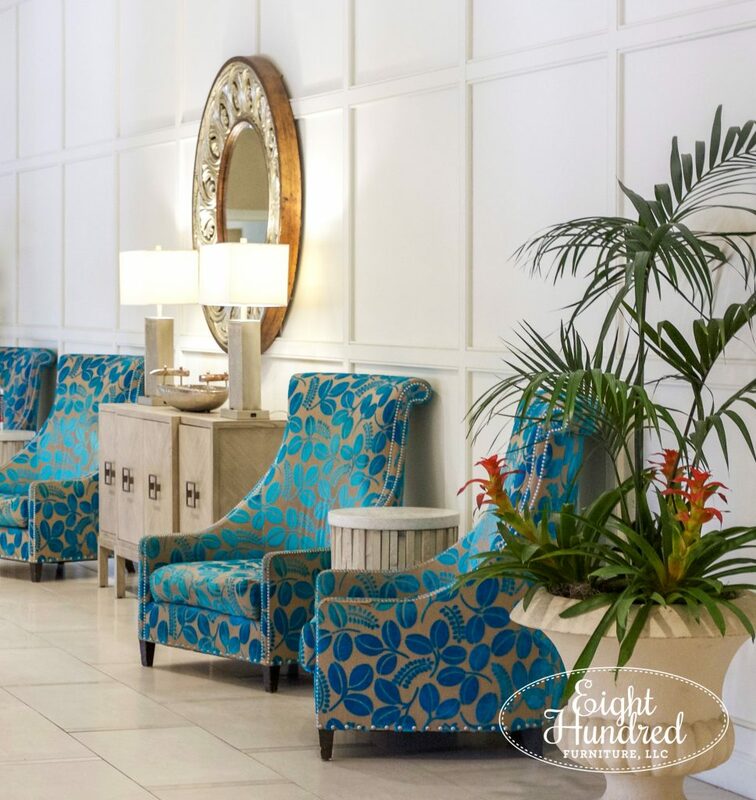 I’m still growing here at Eight Hundred Furniture, so some of these brands are a bit out of reach at the moment. But that’s okay! There were plenty of other relationships to form with professional brands. 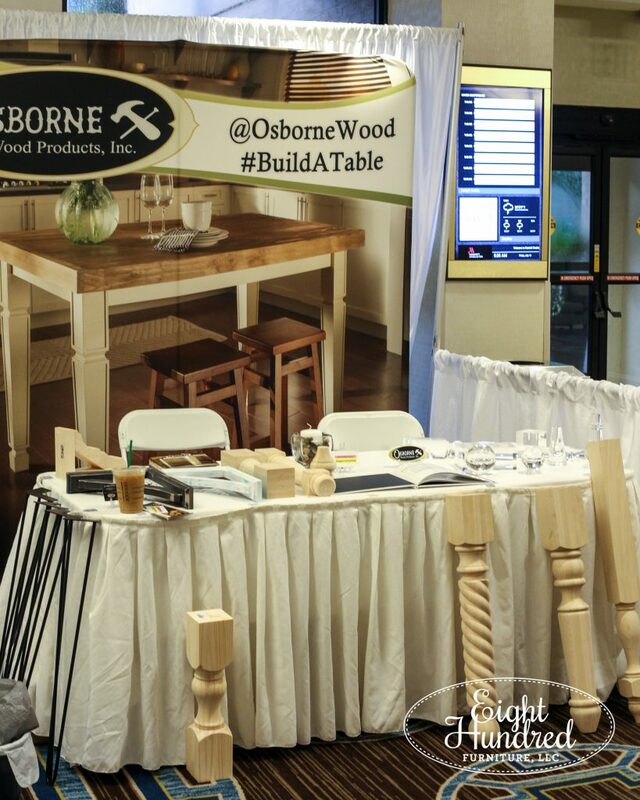 Wood companies, magazines, publishing companies and let’s not forget other bloggers! 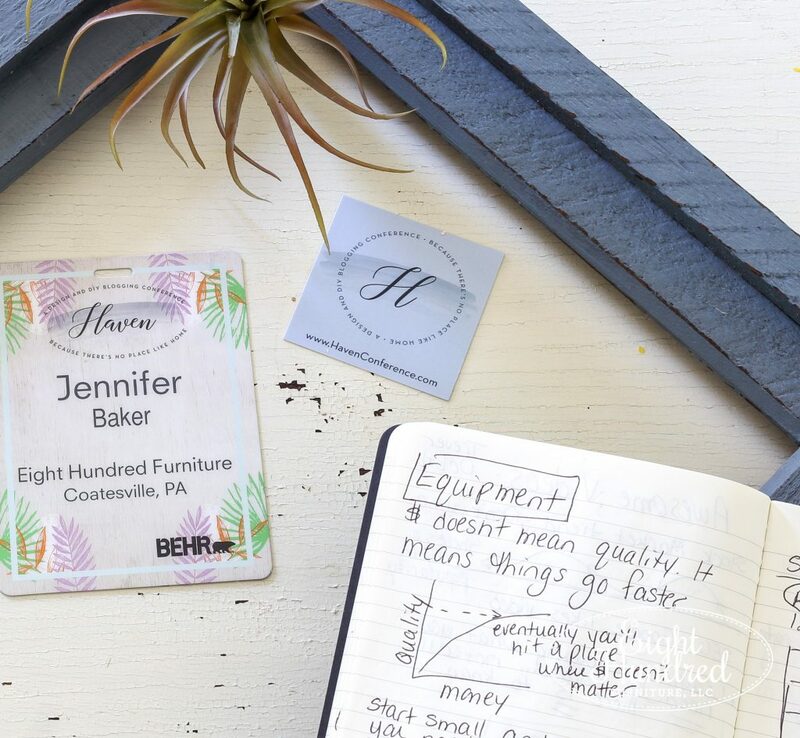 Haven helps you lovingly put your big girl business pants on and realize that if you’re not willing to put things in place to monetize your skills, then you don’t have a business. You have a hobby. And there is a BIG tangible difference between the two. 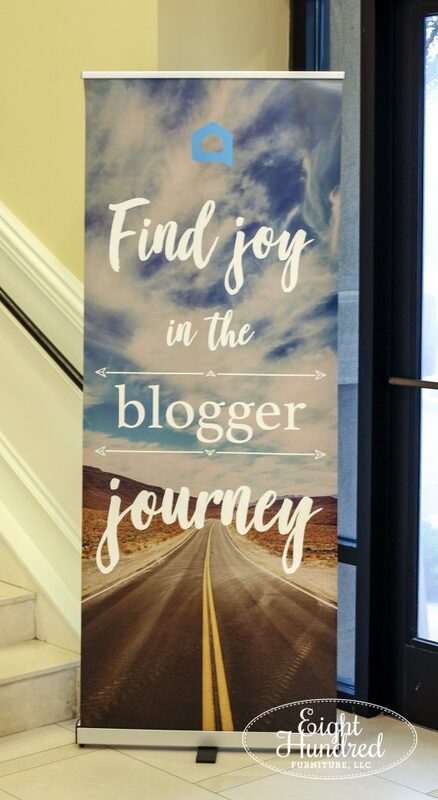 I met several amazing women who were there to figure out if they really and truly wanted to make a go of blogging. They wanted to see what it required to go full time and make a conscious and informed decision as to whether it was doable for them and their family. I think that’s incredibly wise. 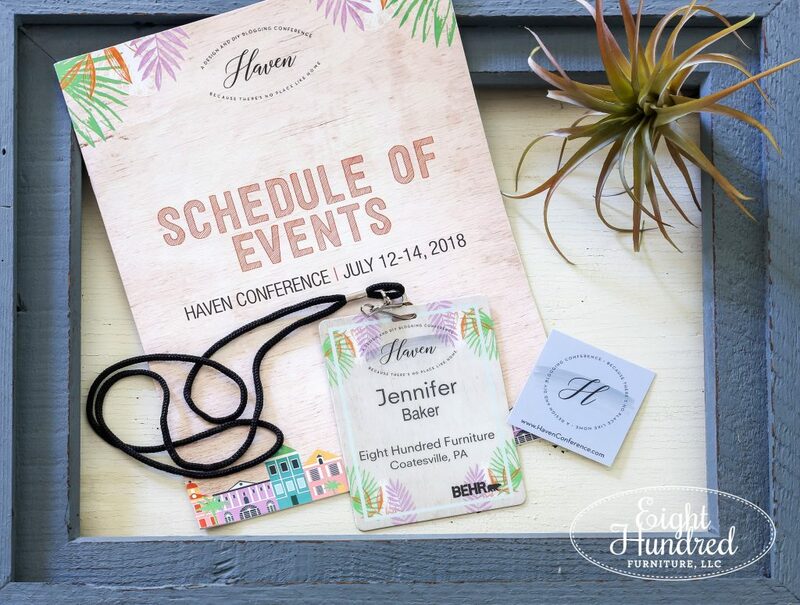 There’s no getting around the fact that attending Haven Conference was expensive for my business. It’s definitely an investment and it did not come cheap. The conference fee itself was several hundred dollars. Then, I had to fly because I live in Pennsylvania and the drive would have been over 10 hours. Also, the airline charged me for my bag. I didn’t have a car so I had to pay for Uber rides to and from the hotel. Dinner was on our own. All of these things add up to a *potentially* costly experience. 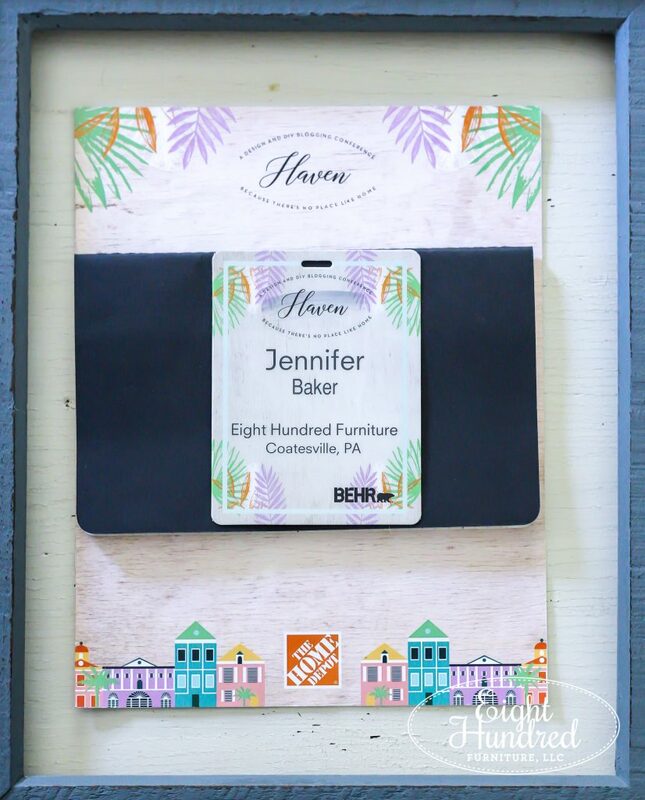 You can cut corners to make Haven more affordable. For starters, don’t stay in the hotel. Grab some friends and rent an Airbnb and cook your own dinners. If you’re within a reasonable driving distance, take your car and save on Uber rides. Or, if you want to stay in the hotel, get a room and split it with a few friends. Budget throughout the year and save for Haven so it doesn’t sneak up on you all at once. Ask for money for your birthday/anniversary so you can put it towards the cost of the conference. 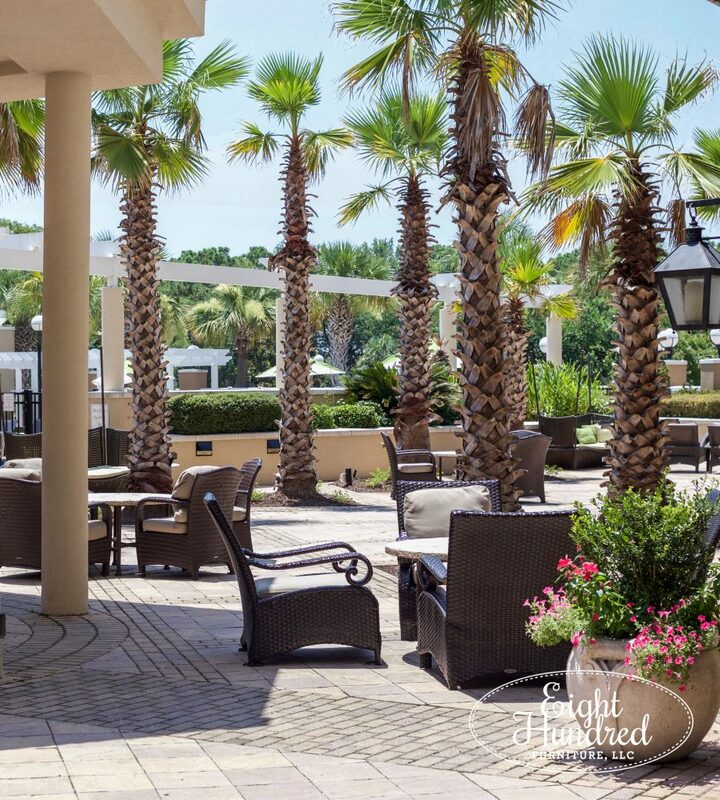 Have a big yard sale and use the profits towards the cost of the conference. If youreally want to get there, you’ll find a way. 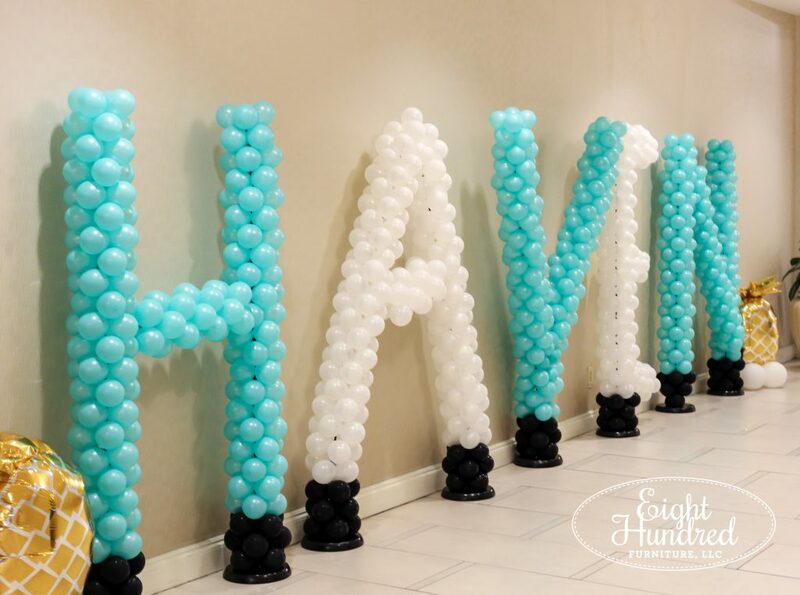 I wasn’t able to afford attending Haven for years. True story. I had to wait until Eight Hundred Furniture grew and was making enough money where it could afford to send me. This trip was definitely not a whim. It was strategically planned for and long-anticipated. Also, prior to this year, it wasn’t appropriate for me to attend. With where I was in my business, I simply wasn’t ready. I didn’t have the headspace to even consider working with brands. I had no idea what “SEO” meant. I was still perfecting my craft and setting up a business. So if it’s not quite the right time for you to attend, give yourself time to grow. Build your bankroll up a bit and build more of a solid foundation professionally until it’s the right season. Trust me – you’ll know when that is! 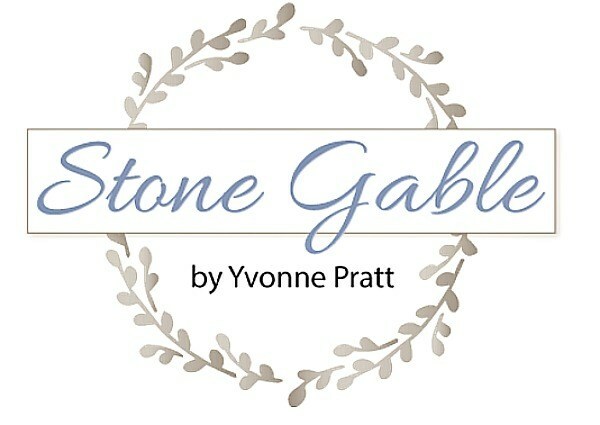 One of the fabulous bloggers that I met at Haven is Yvonne Pratt from Stone Gable Blog. As we talked, we discovered that Yvonne lives less than an hour away from me, went to the same high school as me and used to live literally three streets away from where I currently reside. Go figure, right? Guys, she’s 100% spot on. There literally isn’t enough time to attend all of the sessions because many of them are happening at the same time. You have to pick and choose which are the most applicable to your business. In addition to logistic restrictions, there are physical limitations too. You literally don’t have enough brain power to take in all that’s available at the conference. By the end of Saturday night, all of us were walking around with glazed over looks on our faces and we all had the affectionately named “Haven Hangover”. We had stuck our faces in front of the firehouse and drank in as much as we could. You just have to laugh because you know everyone is feeling the same way you are – excited and exhausted all at the same time. So if you are going to come to Haven in 2019, get ready for the firehose! These are my initial impressions from the conference. 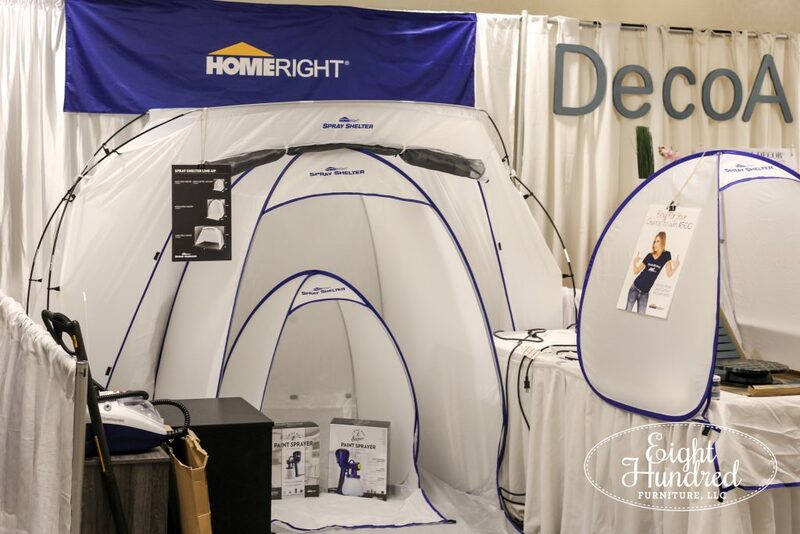 I do have practical beginner tips to share with you based upon my first year attending the event. There are things I will definitely do differently and other I wouldn’t change. Stay tuned for those tips and more musings as time goes by! 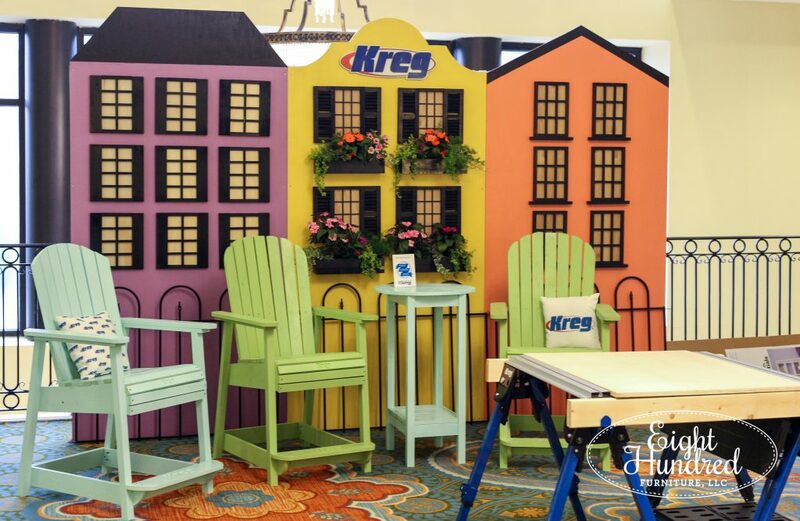 And who knows – maybe we’ll hang out at next year’s conference in Atlanta!